The 2016 Mercedes-Benz C-Class, one of U.S. News’ top picks in the Luxury Small Car category, offers drivers access to powerful V6 and V8 engines, “exquisite” interior design, and supportive seating that could make you look forward to that long trip to Fairfield. Explore our inventory and find the perfect compact sedan to suit your tastes, then keep reading to see why more Napa shoppers choose Mercedes-Benz of Fairfield for all their luxury car needs. Exclusive Express Internet Purchase Advantages Available. Please Call 707-430-0101 and ask for the internet team. We'll be standing by ready to deliver an exceptional experience. CARFAX One-Owner. Clean CARFAX. Certified. Black 2016 Mercedes-Benz C-Class 4MATIC®, 17" Split 5-Spoke Wheels, Blind Spot Assist, Burmester Premium Sound, Heated Front Seats, LED Headlamps, Multimedia Package/Navigation, Panorama Sunroof, Premium Package 2. Recent Arrival! Odometer is 16615 miles below market average! 24/31 City/Highway MPG Mercedes-Benz Certified Pre-Owned Details: * Roadside Assistance * Vehicle History * Warranty Deductible: $0 * Limited Warranty: 12 Month/Unlimited Mile beginning after new car warranty expires or from certified purchase date * 165 Point Inspection * Transferable Warranty * Includes Trip Interruption Reimbursement and 7 days/500 miles Exchange Privilege Reviews: * Broad range of engine choices; quiet, upscale and well-built interior with a roomy backseat; long list of standard safety and technology features. Source: EdmundsCARFAX One-Owner. Clean CARFAX. Certified. Black 2016 Mercedes-Benz C-Class 4MATIC®, 17" Split 5-Spoke Wheels, Blind Spot Assist, Burmester Premium Sound, Heated Front Seats, LED Headlamps, Multimedia Package/Navigation, Panorama Sunroof, Premium Package 2. CARFAX One-Owner. Clean CARFAX. Certified. Black 2016 Mercedes-Benz C-Class 4MATIC®, 17" Split 5-Spoke Wheels, Blind Spot Assist, Heated Front Seats, KEYLESS GO®, Panorama Sunroof, Premium 1 Package, SiriusXM Satellite Radio, Surround Light Mirror Mounted Entry Lamps. 24/31 City/Highway MPG Mercedes-Benz Certified Pre-Owned Details: * Vehicle History * Includes Trip Interruption Reimbursement and 7 days/500 miles Exchange Privilege * Warranty Deductible: $0 * Limited Warranty: 12 Month/Unlimited Mile beginning after new car warranty expires or from certified purchase date * 165 Point Inspection * Roadside Assistance * Transferable Warranty Reviews: * Broad range of engine choices; quiet, upscale and well-built interior with a roomy backseat; long list of standard safety and technology features. Source: EdmundsCARFAX One-Owner. Clean CARFAX. Certified. Black 2016 Mercedes-Benz C-Class 4MATIC®, 17" Split 5-Spoke Wheels, Blind Spot Assist, Heated Front Seats, KEYLESS GO®, Panorama Sunroof, Premium 1 Package, SiriusXM Satellite Radio, Surround Light Mirror Mounted Entry Lamps. CARFAX One-Owner. Clean CARFAX. Certified. Polar White 2016 Mercedes-Benz C-Class 17" Split 5-Spoke Wheels, Blind Spot Assist, COMAND® Navigation & Voice Control, Multimedia Package, Navigation Map Updates Included For 3 Years, Panorama Sunroof, Premium Package 1, Rear-View Camera, SiriusXM Traffic and Weather Services. Recent Arrival! Odometer is 6800 miles below market average! 25/34 City/Highway MPG Mercedes-Benz Certified Pre-Owned Details: * Includes Trip Interruption Reimbursement and 7 days/500 miles Exchange Privilege * Limited Warranty: 12 Month/Unlimited Mile beginning after new car warranty expires or from certified purchase date * 165 Point Inspection * Roadside Assistance * Vehicle History * Warranty Deductible: $0 * Transferable Warranty Reviews: * Broad range of engine choices; quiet, upscale and well-built interior with a roomy backseat; long list of standard safety and technology features. Source: EdmundsCARFAX One-Owner. Clean CARFAX. Certified. Polar White 2016 Mercedes-Benz C-Class 17" Split 5-Spoke Wheels, Blind Spot Assist, COMAND® Navigation & Voice Control, Multimedia Package, Navigation Map Updates Included For 3 Years, Panorama Sunroof, Premium Package 1, Rear-View Camera, SiriusXM Traffic and Weather Services. CARFAX One-Owner. Clean CARFAX. Certified. Polar White 2016 Mercedes-Benz C-Class 18" 5-Spoke Wheels, Blind Spot Assist, Heated Front Seats, Premium Package 1, Rear-View Camera. Recent Arrival! 25/34 City/Highway MPG Mercedes-Benz Certified Pre-Owned Details: * Includes Trip Interruption Reimbursement and 7 days/500 miles Exchange Privilege * Vehicle History * Roadside Assistance * Warranty Deductible: $0 * Limited Warranty: 12 Month/Unlimited Mile beginning after new car warranty expires or from certified purchase date * 165 Point Inspection * Transferable Warranty Reviews: * Broad range of engine choices; quiet, upscale and well-built interior with a roomy backseat; long list of standard safety and technology features. Source: EdmundsCARFAX One-Owner. Clean CARFAX. Certified. Polar White 2016 Mercedes-Benz C-Class 18" 5-Spoke Wheels, Blind Spot Assist, Heated Front Seats, Premium Package 1, Rear-View Camera. CARFAX One-Owner. Certified. Steel Gray Metallic 2016 Mercedes-Benz C-Class Blind Spot Assist, Burmester Premium Sound, COMAND® Navigation & Voice Control, Heated Front Seats, KEYLESS GO®, LED Headlamps, Multimedia Package, Navigation Map Updates Included For 3 Years, Premium 1 Package, Premium 2 Package, Rear-View Camera, SiriusXM Satellite Radio, SiriusXM Traffic and Weather Services, Surround Light Mirror Mounted Entry Lamps. Recent Arrival! Odometer is 3966 miles below market average! 25/34 City/Highway MPG Mercedes-Benz Certified Pre-Owned Details: * Transferable Warranty * Limited Warranty: 12 Month/Unlimited Mile beginning after new car warranty expires or from certified purchase date * 165 Point Inspection * Vehicle History * Warranty Deductible: $0 * Includes Trip Interruption Reimbursement and 7 days/500 miles Exchange Privilege * Roadside Assistance Reviews: * Broad range of engine choices; quiet, upscale and well-built interior with a roomy backseat; long list of standard safety and technology features. Source: EdmundsCARFAX One-Owner. Certified. Steel Gray Metallic 2016 Mercedes-Benz C-Class Blind Spot Assist, Burmester Premium Sound, COMAND® Navigation & Voice Control, Heated Front Seats, KEYLESS GO®, LED Headlamps, Multimedia Package, Navigation Map Updates Included For 3 Years, Premium 1 Package, Premium 2 Package, Rear-View Camera, SiriusXM Satellite Radio, SiriusXM Traffic and Weather Services, Surround Light Mirror Mounted Entry Lamps. Certified. Polar White 2016 Mercedes-Benz C-Class 18" AMG® 5-Spoke Alloy Wheels, Burmester Premium Sound, Interior Package, Panorama Sunroof, Premium Package 2, Sport Package. Recent Arrival! 25/34 City/Highway MPG Mercedes-Benz Certified Pre-Owned Details: * Warranty Deductible: $0 * Transferable Warranty * 165 Point Inspection * Includes Trip Interruption Reimbursement and 7 days/500 miles Exchange Privilege * Limited Warranty: 12 Month/Unlimited Mile beginning after new car warranty expires or from certified purchase date * Vehicle History * Roadside Assistance Reviews: * Broad range of engine choices; quiet, upscale and well-built interior with a roomy backseat; long list of standard safety and technology features. Source: EdmundsCertified. Polar White 2016 Mercedes-Benz C-Class 18" AMG® 5-Spoke Alloy Wheels, Burmester Premium Sound, Interior Package, Panorama Sunroof, Premium Package 2, Sport Package. CARFAX One-Owner. Clean CARFAX. Certified. Polar White 2016 Mercedes-Benz C-Class Blind Spot Assist, Premium Package 1, Rear-View Camera. Recent Arrival! 25/34 City/Highway MPG Mercedes-Benz Certified Pre-Owned Details: * Includes Trip Interruption Reimbursement and 7 days/500 miles Exchange Privilege * 165 Point Inspection * Vehicle History * Warranty Deductible: $0 * Transferable Warranty * Roadside Assistance * Limited Warranty: 12 Month/Unlimited Mile beginning after new car warranty expires or from certified purchase date Reviews: * Broad range of engine choices; quiet, upscale and well-built interior with a roomy backseat; long list of standard safety and technology features. Source: EdmundsCARFAX One-Owner. Clean CARFAX. Certified. Polar White 2016 Mercedes-Benz C-Class Blind Spot Assist, Premium Package 1, Rear-View Camera. CARFAX One-Owner. Clean CARFAX. Certified. Iridium Silver Metallic 2016 Mercedes-Benz C-Class 17" Split 5-Spoke Wheels, Blind Spot Assist, Multimedia Package/Navigation, Panorama Sunroof, Rear Trunk Lid Spoiler, Rear-View Camera. Recent Arrival! 25/34 City/Highway MPG Mercedes-Benz Certified Pre-Owned Details: * Limited Warranty: 12 Month/Unlimited Mile beginning after new car warranty expires or from certified purchase date * Roadside Assistance * Warranty Deductible: $0 * Transferable Warranty * Includes Trip Interruption Reimbursement and 7 days/500 miles Exchange Privilege * Vehicle History * 165 Point Inspection Reviews: * Broad range of engine choices; quiet, upscale and well-built interior with a roomy backseat; long list of standard safety and technology features. Source: EdmundsCARFAX One-Owner. Clean CARFAX. Certified. Iridium Silver Metallic 2016 Mercedes-Benz C-Class 17" Split 5-Spoke Wheels, Blind Spot Assist, Multimedia Package/Navigation, Panorama Sunroof, Rear Trunk Lid Spoiler, Rear-View Camera. CARFAX One-Owner. Clean CARFAX. Certified. Iridium Silver Metallic 2016 Mercedes-Benz C-Class 17" Split 5-Spoke Wheels, Blind Spot Assist, Multimedia Package/Navigation, Premium Package 1. Recent Arrival! 25/34 City/Highway MPG Mercedes-Benz Certified Pre-Owned Details: * Warranty Deductible: $0 * Vehicle History * 165 Point Inspection * Includes Trip Interruption Reimbursement and 7 days/500 miles Exchange Privilege * Limited Warranty: 12 Month/Unlimited Mile beginning after new car warranty expires or from certified purchase date * Transferable Warranty * Roadside Assistance Reviews: * Broad range of engine choices; quiet, upscale and well-built interior with a roomy backseat; long list of standard safety and technology features. Source: EdmundsCARFAX One-Owner. Clean CARFAX. Certified. Iridium Silver Metallic 2016 Mercedes-Benz C-Class 17" Split 5-Spoke Wheels, Blind Spot Assist, Multimedia Package/Navigation, Premium Package 1. CARFAX One-Owner. Clean CARFAX. Certified. designo Cardinal Red Metallic 2016 Mercedes-Benz C-Class 18" 5-Spoke Wheels, Blind Spot Assist, Heated Front Seats, Multimedia Package/Navigation, Panorama Sunroof, Premium Package 1, Rear-View Camera. Recent Arrival! 25/34 City/Highway MPG Mercedes-Benz Certified Pre-Owned Details: * Limited Warranty: 12 Month/Unlimited Mile beginning after new car warranty expires or from certified purchase date * Vehicle History * Includes Trip Interruption Reimbursement and 7 days/500 miles Exchange Privilege * 165 Point Inspection * Roadside Assistance * Transferable Warranty * Warranty Deductible: $0 Reviews: * Broad range of engine choices; quiet, upscale and well-built interior with a roomy backseat; long list of standard safety and technology features. Source: EdmundsCARFAX One-Owner. Clean CARFAX. Certified. designo Cardinal Red Metallic 2016 Mercedes-Benz C-Class 18" 5-Spoke Wheels, Blind Spot Assist, Heated Front Seats, Multimedia Package/Navigation, Panorama Sunroof, Premium Package 1, Rear-View Camera. 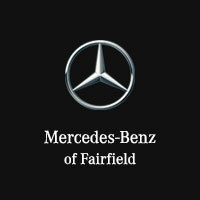 Why Choose Mercedes-Benz of Fairfield? Whether you’re in search of a statement vehicle that will turn heads around Vallejo or the wear and tear of the drive into Benicia has you in need of repair service, Mercedes-Benz of Fairfield is here to help. Contact us today to learn more or get started. While you’re here, be sure to check out our selection of Certified Pre-owned models!